Fourth settlement of the extremely popular Note series, has come to our hands, so we have chance to tell you what Samsung has to offer this year. 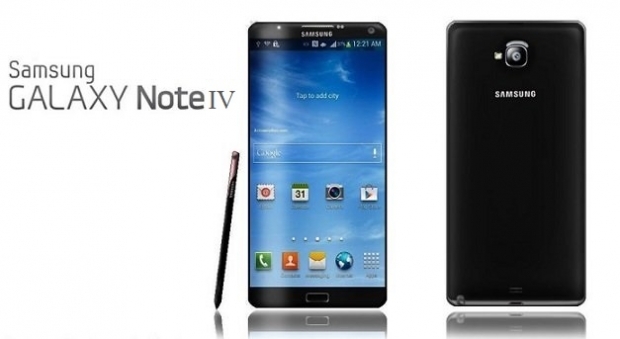 Fourth generation of the currently extremely popular Note series brings nice number of new things and updates comparing to the predecessor, so we really have to be glad about something when it comes to this segment. Metal frame is one of the things that come to mind, higher screen resolution, more powerful chipset, better camera, and all that in a phablet form. From a complete madman to role model that has changed the game on the market that is an adventure Samsung Note series is going through. Who would say that the smartphone sizes would change so drastically in just a few years? The age of small screen phones is officially over, just in case if it hasn’t become clear already. Everyone who has adapted the size of the Note series early on, it is probably used to the smartphone sizes by now who are slowly heading towards the 6 inch limit. 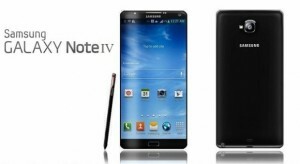 Samsung still doesn’t want to make that small leap for now, so they kept the 5.7 inch screen, which is more than enough. It is a bit weird that Note was once a synonym for a biggest smartphone on the market, and now there are bigger models then it. Before going deep into specs, don’t forget that this isn’t a cheap toy, so if you are perhaps in debt, it would be best to pay that off as soon as possible if you plan on purchasing this baby. If you really want this new gadget that bad, try contacting some of the professionals from national debt relief or freedom debt relief to help you with your debt consolidation. Hardware is excellent by default, as expected by Samsung. When it comes to Android smartphones Galaxy Note series has always brought the latest chipset first, and nowadays Note 4 series is just one of the five phones with Snapdragon 805 chipset. On the other hand, there is an alternative Exynos 5433 chipset, and our copy has that exact chipset. Qualcomm version features quad core 2.7 GHz Krait 400 CPU and Adreno 420 GPU, while Exynos brings Octa core solution with Quad Core 1.9 GHZ Cortex A57 and Quad Core 1.3 Ghz Cortex A53, all that combined with Mali T760 GPU. Both chipset versions are extremely powerful and comparable to one another. Unfortunately nobody on the market offers 4 GB of RAM still, so Samsung has again this year put 3 GB of ram into Note. Don’t get us wrong, it is more than enough, but we just wanted to see some juicy upgrades. Note 3 had internal storage of 16 GB for some markets, but it mostly came with 32 GB or 64 GB while Note 4 is currently only available in 32 GB version. MicroSD card slot is available of course, so your storage can be expanded with up to 128 GB. Main camera has gained an upgrade from 13 to 16 megapixels, including optical stabilization and 4K video possibilities. Selfie fans will enjoy the upgraded front camera from 2 MP to 3.7 MP, and there are new add-ons first seen on S5 like pulse meter, and hand print sensor. The battery capacity has been slightly changed from 3200 to 3220 mAh. It is very well known that Samsung likes to add higher number of their own apps to their flagship models, that make them more recognizable, useful and somewhat more productive, but that hasn’t got to be the rule. 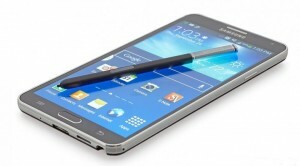 Galaxy Note 4 certainly isn’t an exception, especially because of its very well-known S-pen that will allow you to write in notes or do some useful tricks. Android version Note 4 comes with is KitKat 4.4.4. withTouchWiz user interface. The new user interface comes with some updates that we loved, even though we must admit we aren’t huge fans of TouchWiz. Lockscreen has been simplified, it shows time, date, carrier name and camera shortcut, and next to light and Technicolor effects of unclocking, it is possible to lock the phone with your fingerprint. Main screen has greeted us with a clock, date and weather forecast, without any frame and custom background. Font is extremely clear and readable, especially in this high resolution. The resolution upgrade from FullHD to Quad HD wasn’t that thrilling as much as we were nicely surprised by a Basic screen setting. Why? Super Amoled screens almost never made good when it comes to color precision, they have always been unnatural and saturated, many would say like in a cartoon. For those who would like to be more close to the IPS screen, Samsung has created a great Basic mode option.